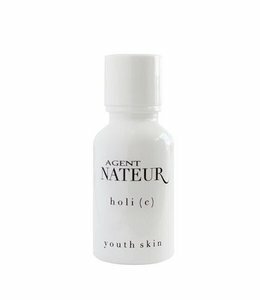 Agent Nateur products are created with non-gmo, pesticide-free, food-grade ingredients available in order to be safe for those with even the most sensitive skin. If you have a history of sensitive skin or allergic reactions, please be sure to test body products on a small area inside your wrist for 2-3 days prior to using. Each holi(stick) is made by hand. A little goes a long way....you don't need much of Agent Nateur to keep you smelling luxurious throughout the day. Note: If transitioning from a pore-clogging anti-perspirant, please allow two weeks as your body adjusts. When pores are “unclogged”, your system may overcompensate, producing more water as the “flood gates” open. Your body will soon reach a natural equilibrium, allowing this deodorant to perform effectively, eliminating odour. WARNING: Although it is rare, this product may stain clothing. Excellent deodorant. I have been trying to find a natural deodorant that works and this is the first one I have found. I feel like I have tried them all and this is the first one that I know I won't be smelly with at the end of the day. It is a little softer than I would like but like I say it works and that is all that matters to me.